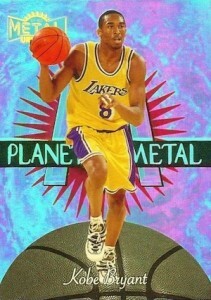 Featuring one of the most exciting base designs of the 1990s, 1997-98 Skybox Metal Universe is most notable for the rare Precious Metal Gems cards. 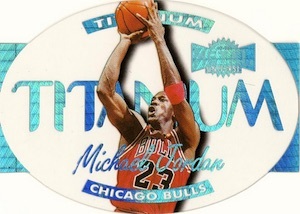 The foil-covered parallels have seen considerable interest in recent years, making 1997-98 Skybox Metal Universe one of the most popular and valuable products from the 1990s. 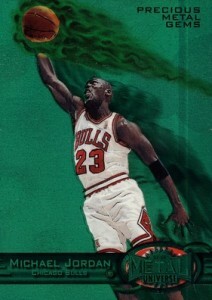 The smaller 125-card base set combines player images with a celestial-themed background to make for some wild cards. 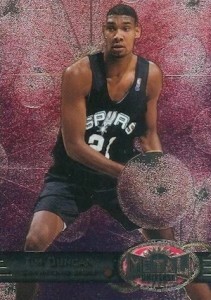 The checklist is led by rookie cards for Tim Duncan and Tracy McGrady as well as base cards for the top players of the decade, including Michael Jordan. Precious Metal Gems, or PMG, parallels are easily distinguished from the base cards due to the colorful foil and serial numbering. The entire print run for each player is 100 cards, but that total is split between two different versions. The first ten cards in the numbering feature green foil, while the remaining 90 include red foil. Only 123 cards are covered in the parallel, as the checklist cards (#124,125) are left out. A print run of 100 sets might sound like a lot today, but given the huge overall print un of the product, they are very tough pulls. However, the rarity is only part of the reason for the high values. Because the PMG parallels are very susceptible to chipping damage on the foil edges, high grades are not easy to locate, resulting in a considerable premium for those in mint condition. 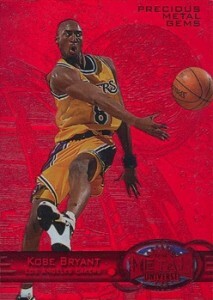 There is also a subtle Reebok parallel that includes 15 cards from the base set. The partial parallel features 15 players who had Reebok deals at the time and can be identified by a Reebok logo on the back of the card. 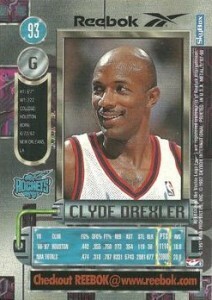 The base Bronze version averages one per pack and there is also a Silver and Gold parallel. 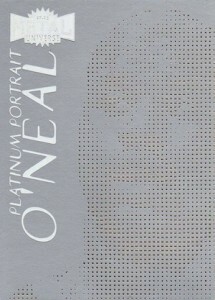 Platinum Portrait inserts use a series of holes to form an image of the player on a silver card and are also very popular. 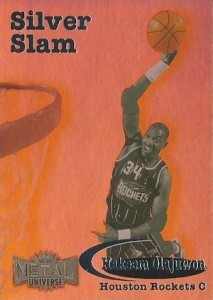 Silver Slam utilizes black-and-white images set against Refractor-like foilboard. The even-numbered cards showcase a purple background and the odd cards go with orange. Planet Metal includes a colorful swirl feature, reminiscent of a quasar, along with a black-and-white basketball and large "M" logo. Unlike most of the other inserts in the product, Gold Universe continues the space theme, but with a gold finish, and is only found in retail packs. Finally, Titainum is a die-cut and acetate-esque insert that is finished with a blue foil. 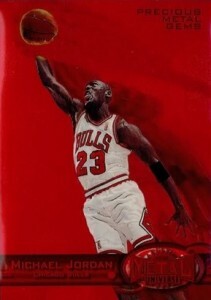 Once the prices for the Precious Metal Gems parallels began to push higher, sealed wax began to dry up, making 1997-98 Skybox Metal Universe Basketball boxes very tough to find. Expect to pay several hundred per box if you do track some down. Occasionally causing confusion for collectors, 1997-98 Skybox Metal Universe Championship is an entirely different product from the Metal brand. Although it also includes PMG parallels, the designs and numbering is vastly different. 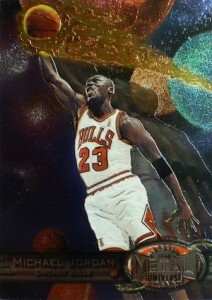 1997 METAL UNIVERSE #1 MICHAEL JORDAN PLANET METAL PSA 10! 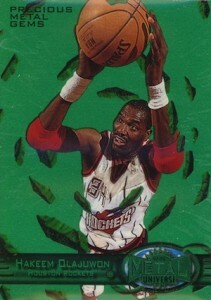 1997-98 Skybox Metal Universe Platinum Portrait KEVIN GARNETT #8 VERY HTF !!! 123 cards. Serial numbered #/100. View a complete PMG guide here. The first ten cards of the print run are green and the final 90 cards are red. The checklist cards are not included. 15 cards. 1 per hobby pack. 10 cards. 1:120 packs - retail only. 15 cards. 1:24 hobby packs. 15 cards. 1:288 hobby packs. 20 cards. 1:6 hobby packs. 20 cards. 1:72 hobby packs. 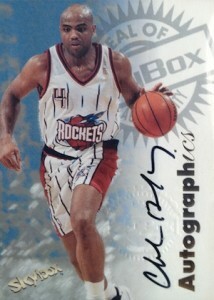 Skybox Premium Autographics are found across all 1997-98 Skybox/Fleer products. Full checklist and guide here. 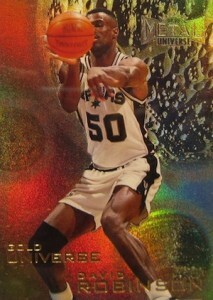 Looking to sell the 010/100 Tim Duncan 97-98 pmg (green). …Check eBay this summer.